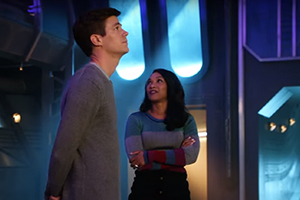 As The Flash fast approaches its fifth season, Grant Gustin was on hand at San Diego Comic Con to share his thoughts about Barry’s daughter Nora and the strength of Westallen’s relationship this year. Check out the video below, or you can read on to learn what the Scarlet Speedster himself thinks about the plots coming down the pipeline. 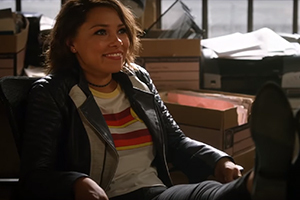 Gustin is over the moon about Jessica Parker Kennedy’s casting. Barry and Iris will react very differently to their baby girl. Season 5 of The Flash returns to the CW on Tuesday, October 9th at 8/7c. Check withanaccent.com soon for interviews with the rest of the cast!